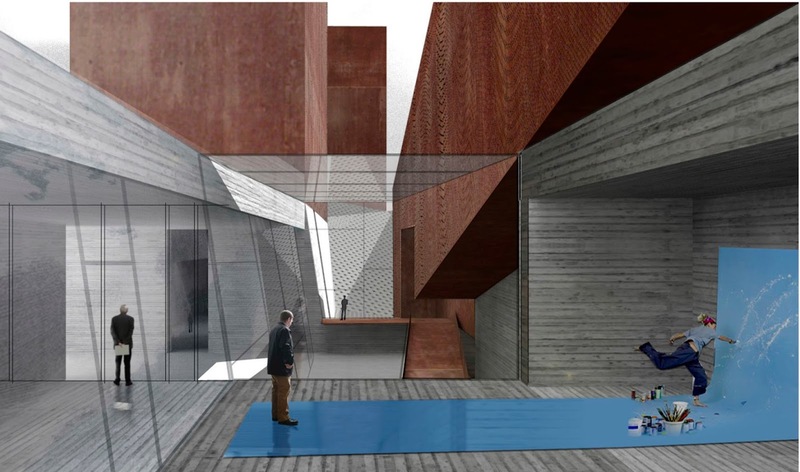 How can a new building help the NCCA break into the art network of the most important cities? NCCA halls will be longer than the Tate’s, higher than MoMA’s, purer than Guggenheim’s. The NCCA may not be the biggest museum, but each of its galleries will be unique in the world. A set of otherwise rather neutral boxes with at least one “out of the ordinary” dimension will generate unprecedented reactions from the artists, and consequently a sense of uniqueness able to work as a magnetic force attracting the world’s attention and the visiting public. So the NCCA will be known as an institution that replaced the passive role of art receptor with that of an active producer of its own unique, memorable and unrepeatable art collection. 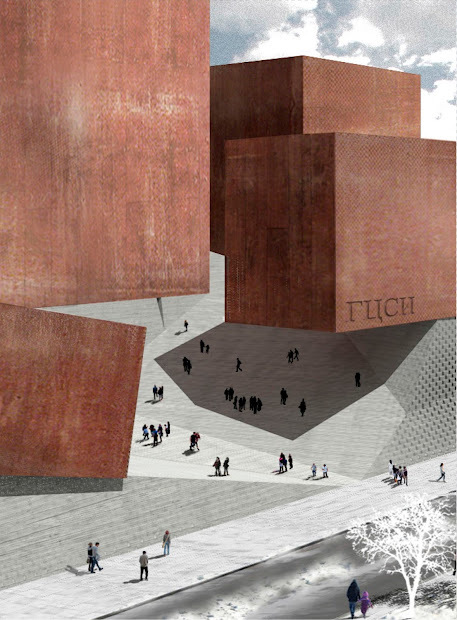 How to respond to the megalopolitan –not just metropolitan- scale of the site and of the city of Moscow? In a context that is still under formation, and with urban pieces of such different nature, the character of the museum should be strong and calm. A clear direct architectural language is not only appropriate for exhibiting art, but may also use the power of calmness to transform the vastness of Khodynskoe Pole into monumentality. By covering the whole length of the site we expect to erase the “backyard” impression with regard to the shopping mall and guarantee the complex its right “post card” front. How to capture the 20 million customers of the mall, a flow that can be crucial for the financial sustainability of the Centre? 1. On top of the highest exhibition hall in the world, there will be a public café and viewpoint to draw the tourists in. 2. The gaps in between the exhibition halls allow for a potential connection between the shopping mall and the park, using the building as a link. 3. The sloping nature of the base is intended to work as topography capable of hosting mass outdoor cultural activities. So, our proposal is to concentrate the energy in 4 simple but extraordinary pieces that will have a global impact in the art world, be self-confident towards the site and work as a magnet for people.